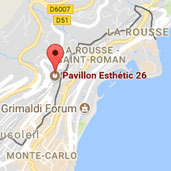 The Pavillon Esthetic 26 offers the main treatments of aesthetic and laser medicine to rejuvenate the face, look and silhouette. Our philosophy is entirely focused on aesthetic medicine without surgery with gentle, non-invasive actions and significant results. We welcome you in a modern and elegant frame entirely turned towards taking care of your beauty.